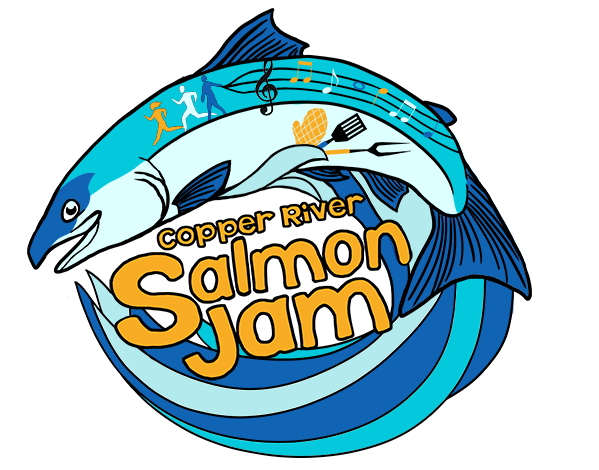 There’s lots of ways to get out and enjoy Cordova and the beautiful intact ecosystem surrounding it during Copper River Salmon Jam. 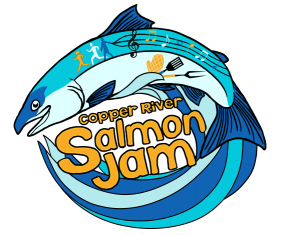 You can lace up your running shoes and participate in the Alaska Salmon Runs road races, take the kiddos up to the Small Fry Kids’ Educational Activities, come enjoy the live music in the evenings, or take a hike up from festival grounds to the summit of Mt Eyak! 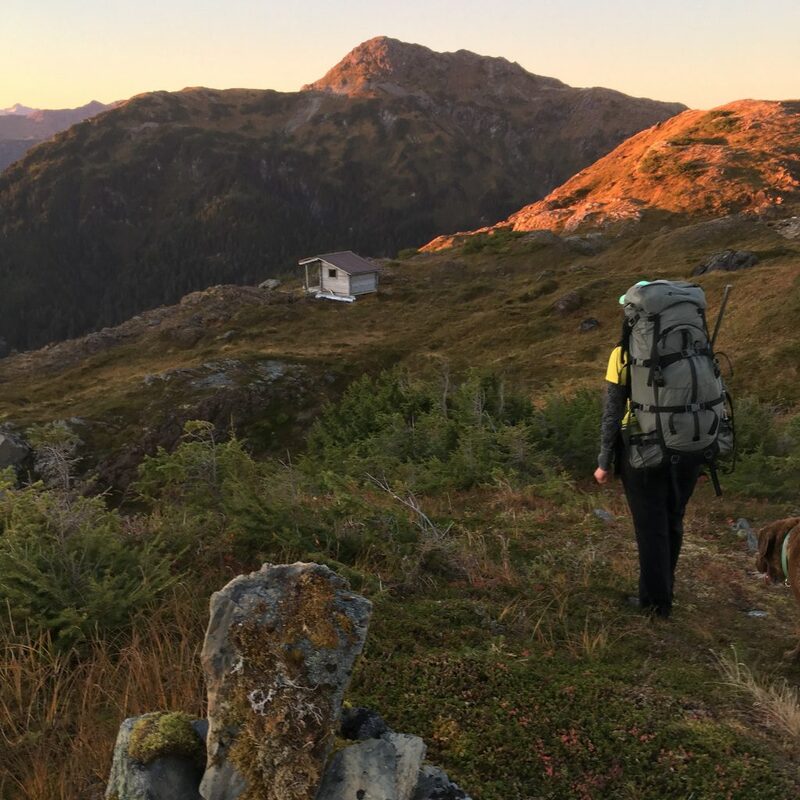 If you are in it for the long-haul and looking for a great overnight trip in Cordova, you can shoulder your backpacking gear for the hike along the ridge line on the Alice Smith Intertie. There are three points of departure to reach the Alice Smith Intertie; the base of Ski Hill, the Crater Lake Trailhead, or the Powercreek Trailhead. 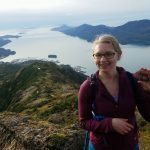 This blog post assumes you are leaving from the base of Ski Hill, however, it is common to do this hike in the reverse order. To continue onto the ridgeline after summiting Mt. 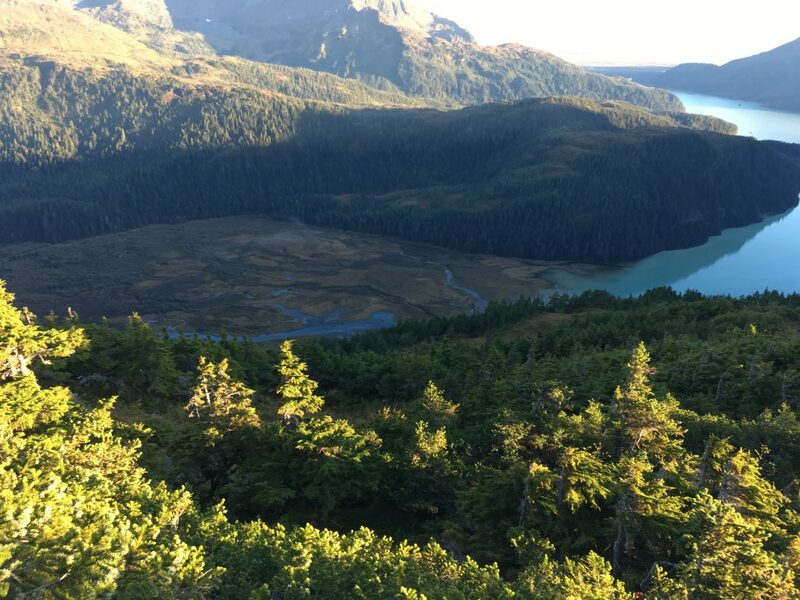 Eyak you will need to reverse down the peak and then hike the connecting ridgeline trail along the south end of Mt. Eyak until you reach Crater Lake (1.5 miles). 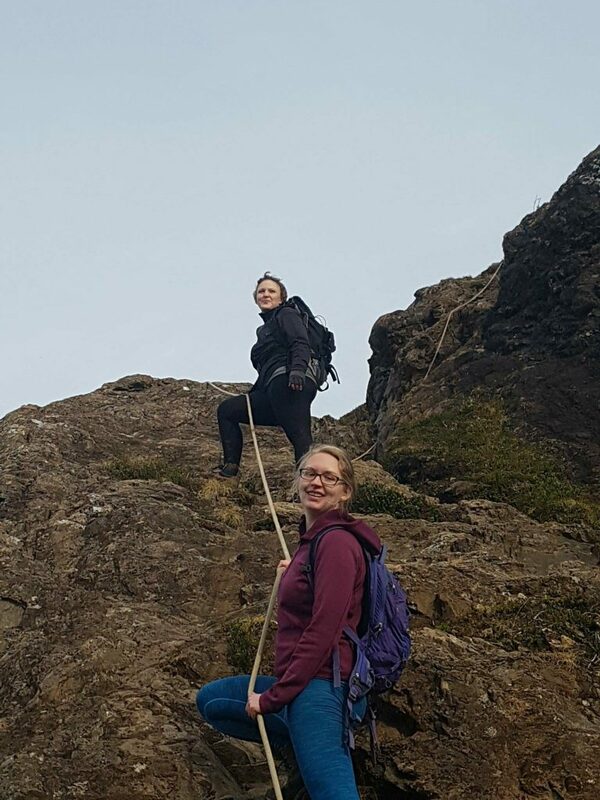 If you are hiking with overnight gear, I recommend leaving your packs at the base of the final summit where you will find a hefty rope to assist in the last scramble. Walking around the lake you will find the intersection of the Crater Lake Trail and the Alice Smith Intertie. If you’re ready to call it a day at this point, taking the Crater Lake Trail down the mountain will lead you to the Crater Lake trailhead (3 miles) that begins on Power Creek Road adjacent to Skater’s Cabin. 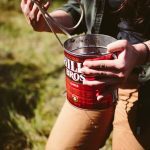 If you’ve still got some steam left upon reaching Crater Lake, you could continue along the ridge on the minimally maintained Alice Smith Intertie which connects the Crater Lake Trail to the Power Creek Trail. The trail is marked with rock cairns and can be obscured by bushes and difficult to find at times. 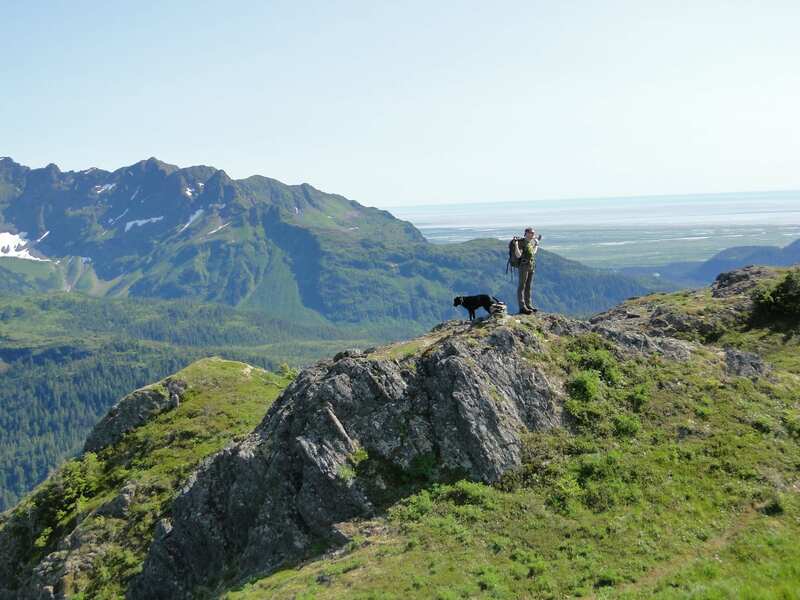 Be aware that there is a good chance of seeing wildlife such as mountain goats, deer, and brown and black bears. Additionally, the trail can be quickly overcome and obscured by dense fog. This is not a trail to attempt in sketchy weather. Approximately halfway along the ridge, there is a bare-bones shelter available on a first-come-first-serve basis. Be prepared to camp in a tent in case you don’t make it to the shelter before dark or somebody is already there. 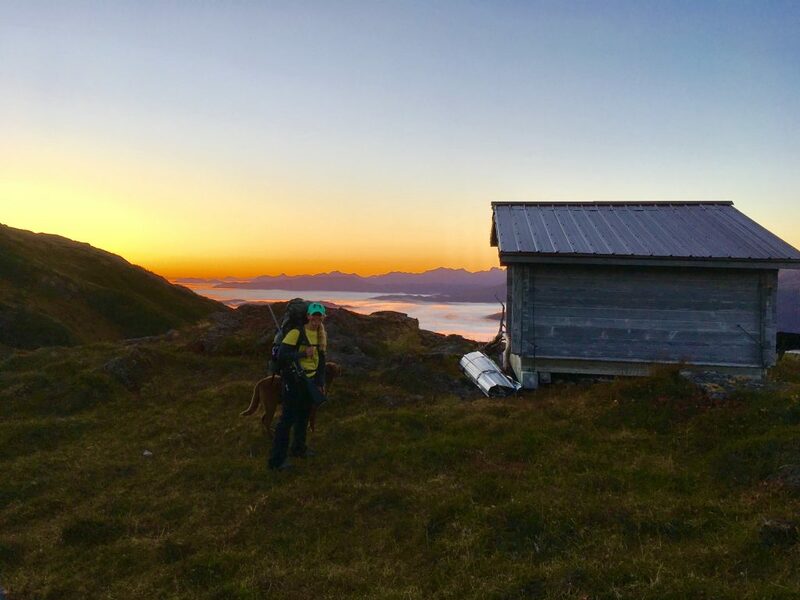 Upon reaching the shelter at twilight, my first and only time, I remarked to my hiking companion how I had never been so thankful for four walls and a bare floor to sleep on while we watched a large brown bear meander through the mossy hills looking for berries. On reaching the Power Creek Trail intersection you could either make a detour and stay at the Power Creek Cabin (1 mile from the Alice Smith Intertie intersection) which can be reserved through recreation.gov or continue on to the Power Creek trailhead with terminates at the end of Power Creek Road (7 miles from Cordova). The entire loop from the Crater Lake trailhead to the Power Creek trailhead is 12 miles. Be advised that cell reception in the area is unreliable. 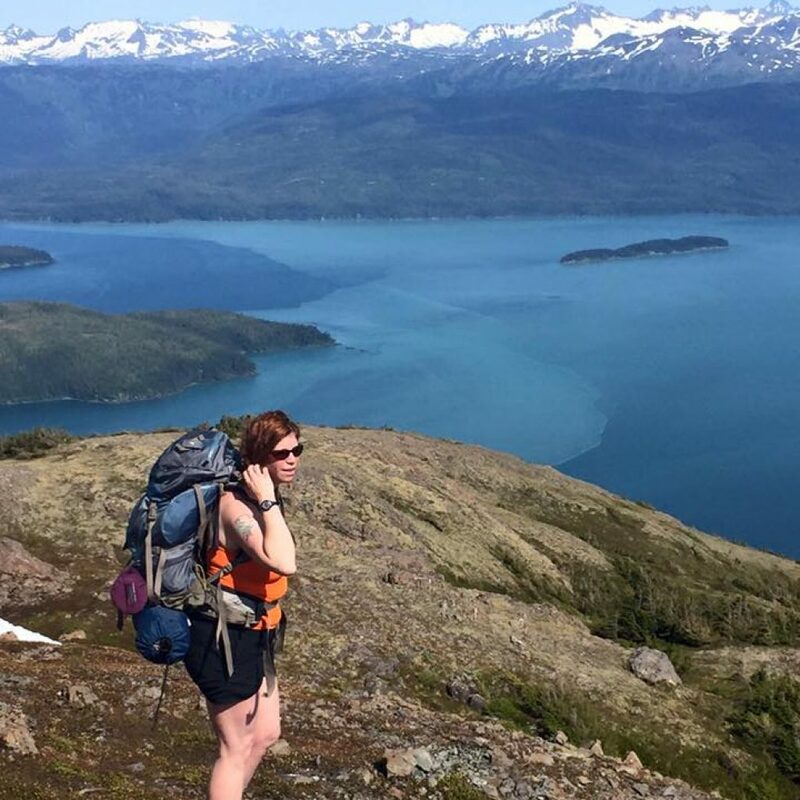 We advise backpackers to leave a trip plan with the Forest Service or a friend before embarking on the Alice Smith Intertie and to make plans for a shuttle depending on where your ending point is. 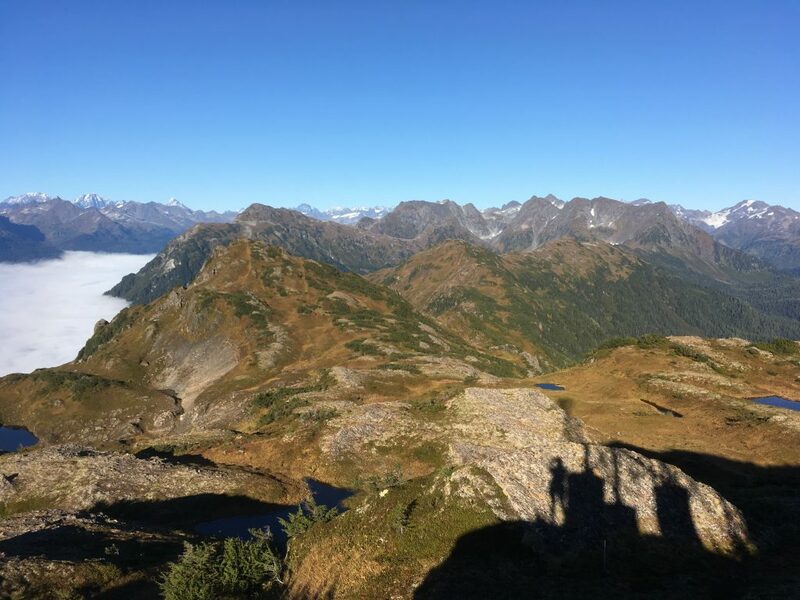 For more information on hiking trails in Cordova and maps, visit the Cordova Chamber of Commerce and the Chugach National Forest Service Cordova office.